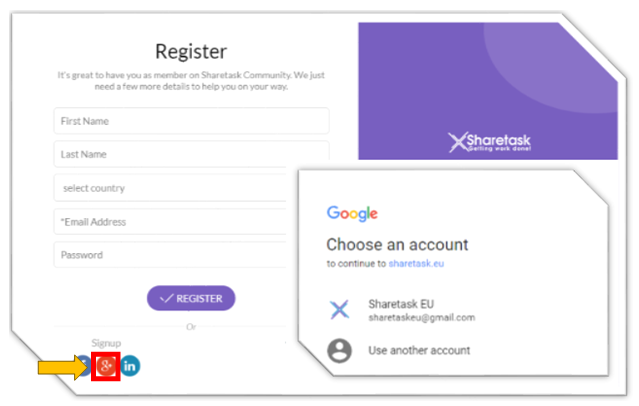 Thank you for registering with Sharetask.eu! 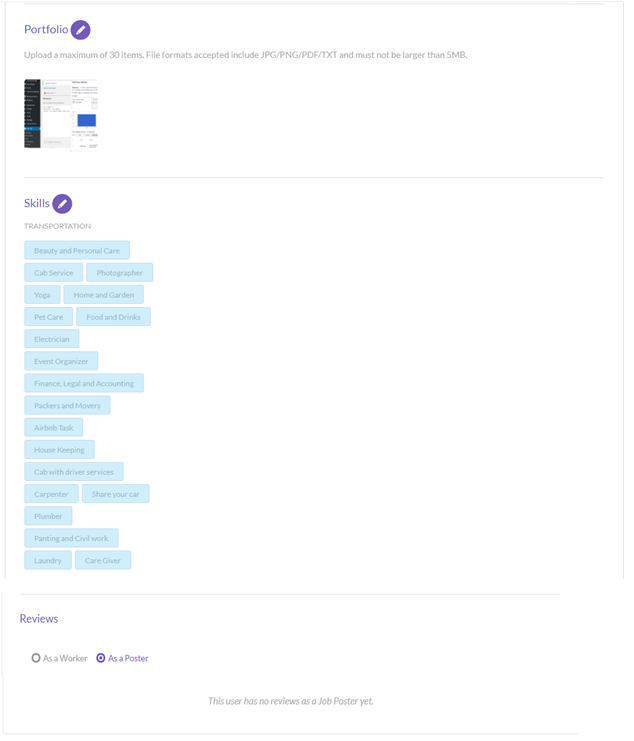 You are almost done with few more steps. 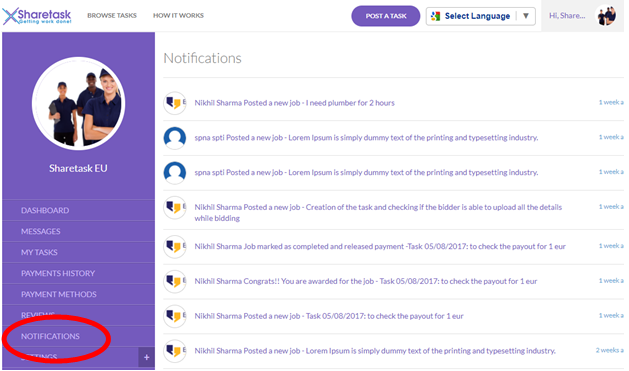 Task alerts, Payment details, Images, Bio and more. 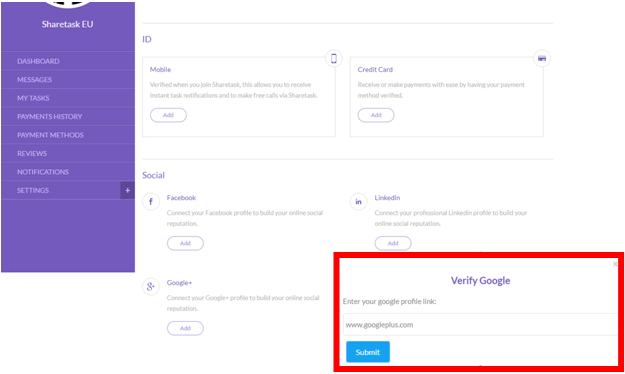 Here are the steps which will help you to setup your profile easily. 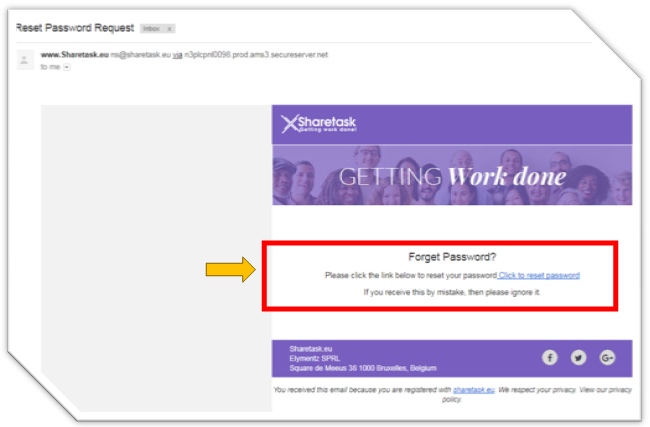 An email with the reset password link will be sent to you. 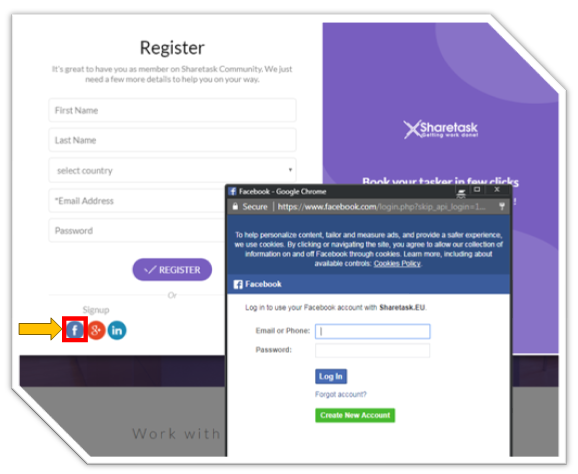 Dashboard is the place where the user will get all the information, activities and any announcements about its status. 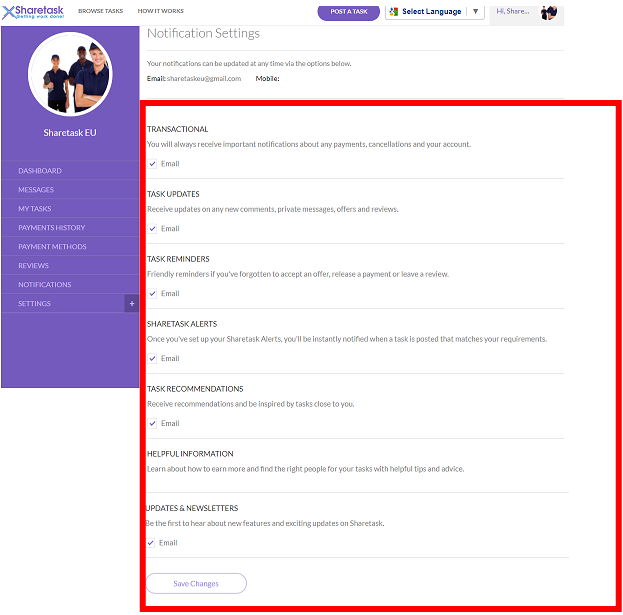 There are shortcuts in order to update the following sections of the settings. 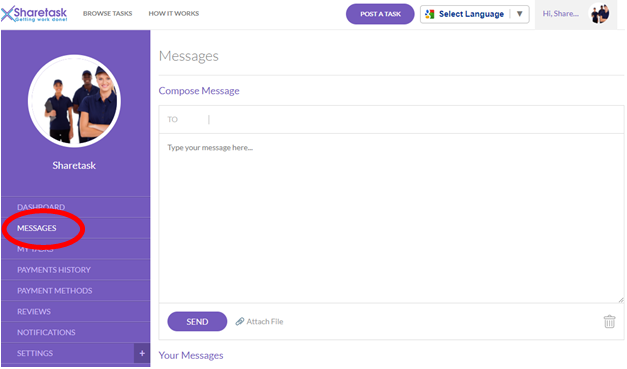 When selected 'Messages'the message page is displayed. 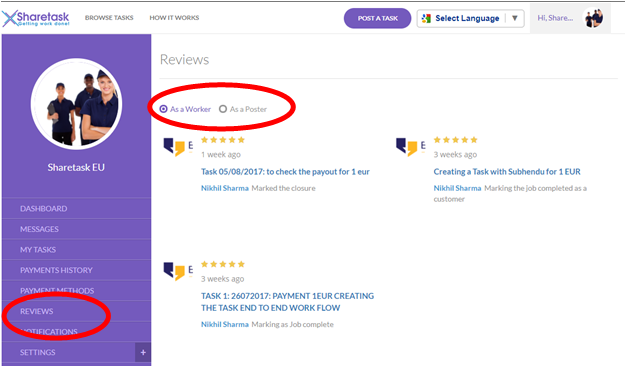 This functionality only be working when either 'Poster' or 'Worker' makes a bid or post the task. 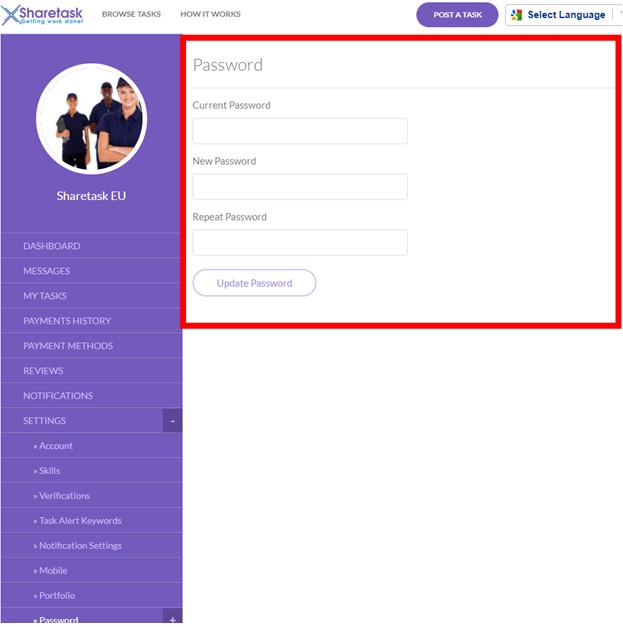 This feature allow the user to chat in detail, exchange large documents. 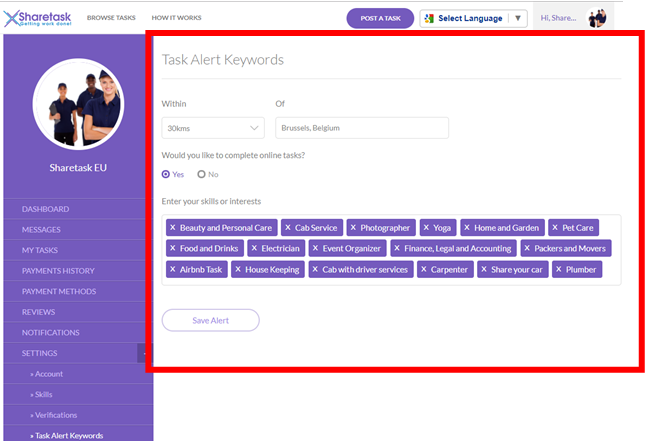 During the task time, any communication can be carried out in the Message page. 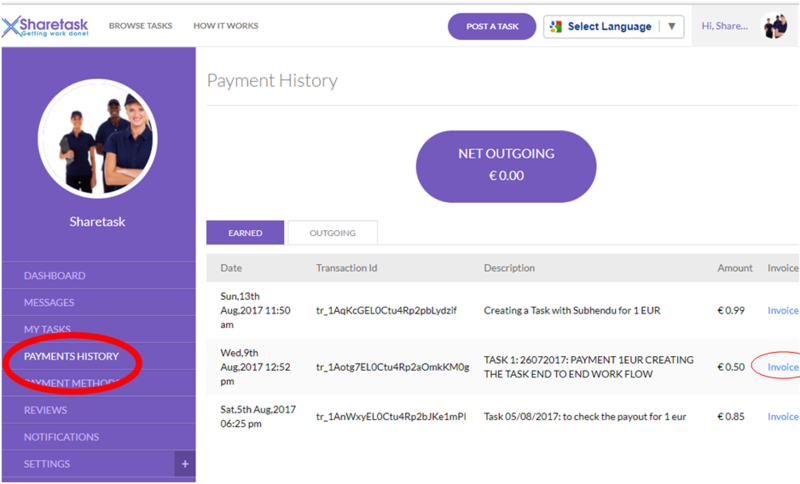 Payment History page under user management allow the user to track all the 'OUTGOING' payment as 'Task Poster' and 'EARNED' Payment as worker. 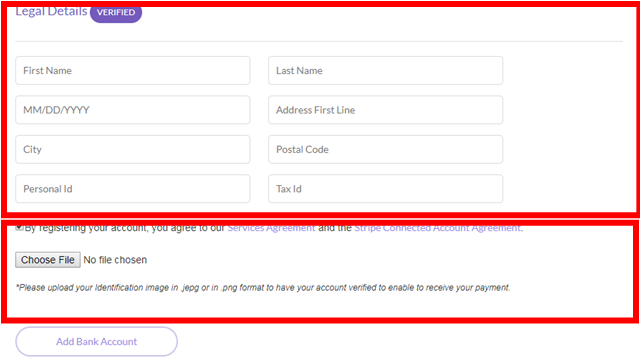 The invoices are available for both type of transaction in order to track the money and for tax purpose the invoices can be referred. 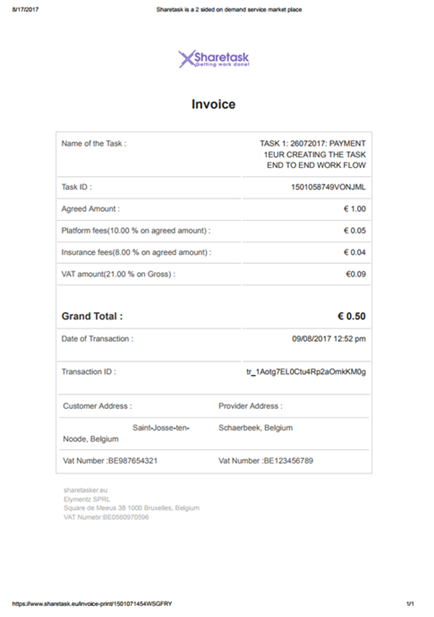 The user can click on 'invoice' link in order to view the invoice and download in .pdf format. 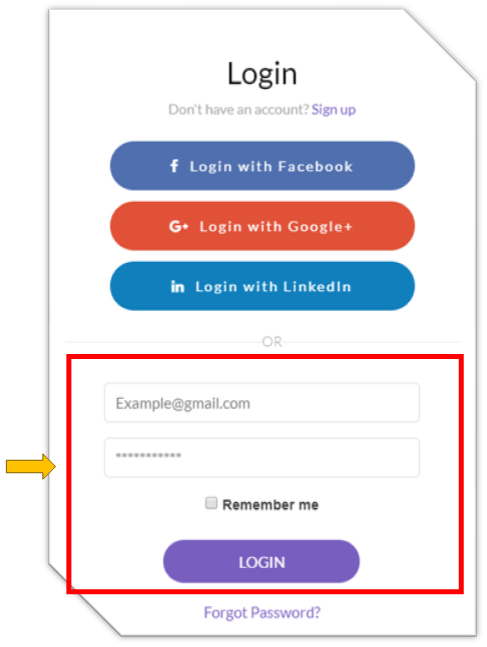 The Poster need to add his/her credit or Bank contact card number with Expiry Date and CVC number. 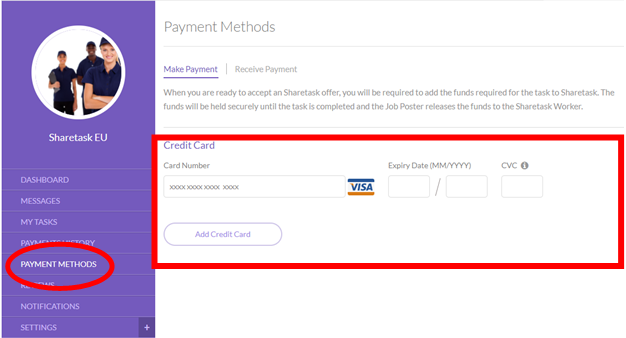 This will allow the job poster to post any task and make the payment with the attached card. 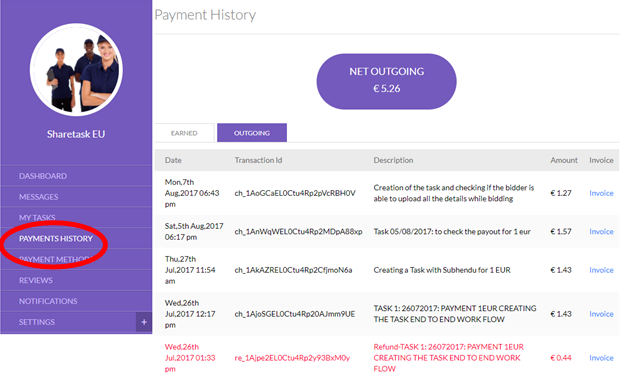 Sharetask.eu / Elymentz Sprl request its users to update the bank account where the payout will be scheduled for work done. 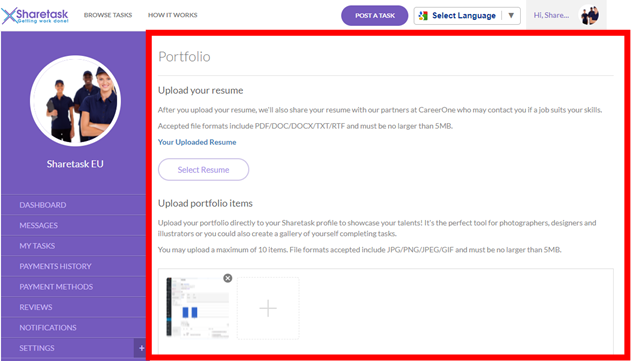 Once the payment is released by the job poster Sharetask.eu will instruct www.stripe.com to process the payout and credit the given bank account in order to complete the transactions. 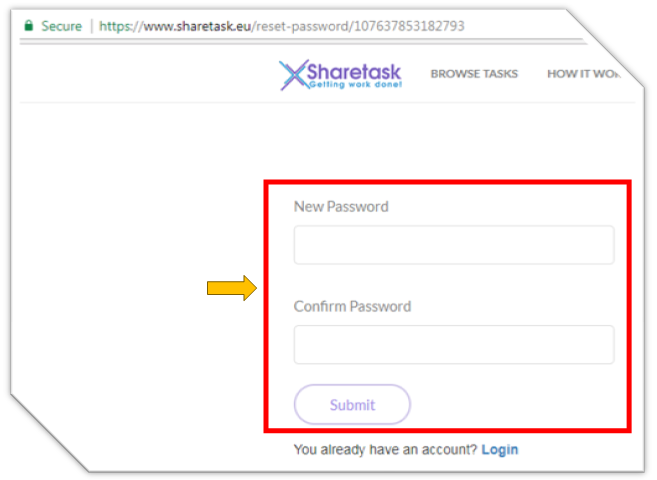 The below 'Legal Details' are must as part of the "KYC" 'Know your customer' by each bank of the user where the user is allowing to have his work payout. 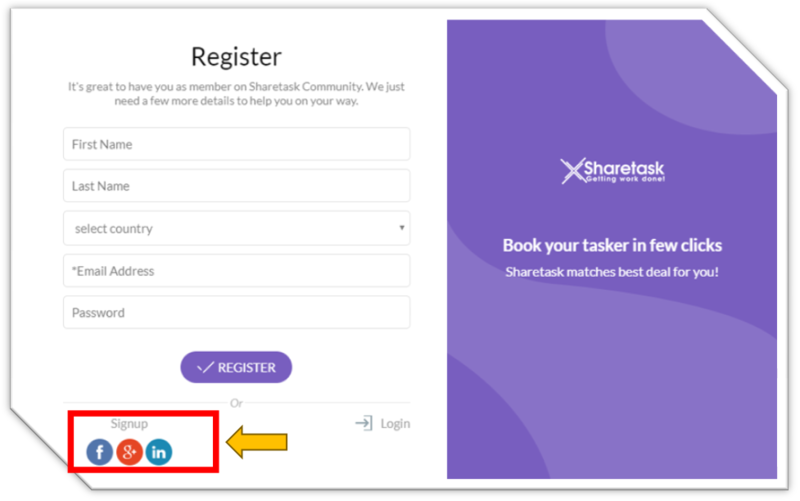 www.stripe.com performs the KYC on behalf of www.sharetask.eu / Elymentz Sprl. 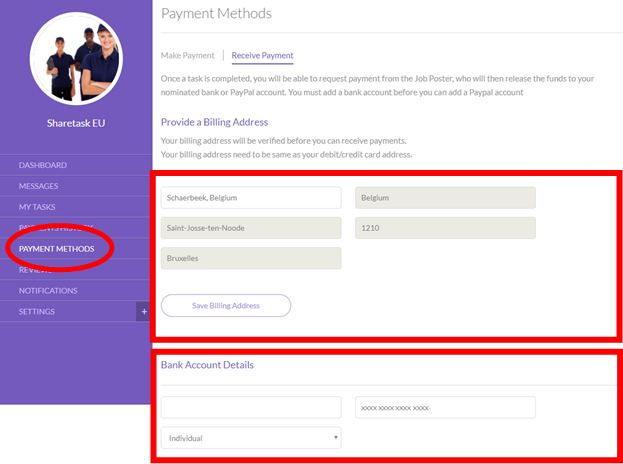 It is very important to have the following fields. 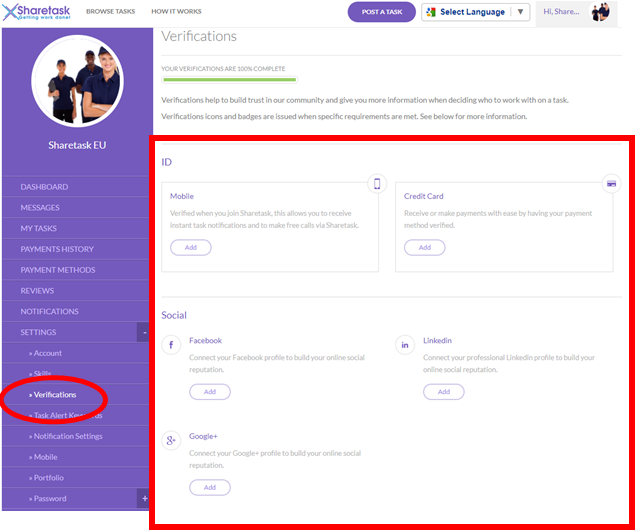 The status VERIFIED will be updated once www.stripe.com performs its validation. 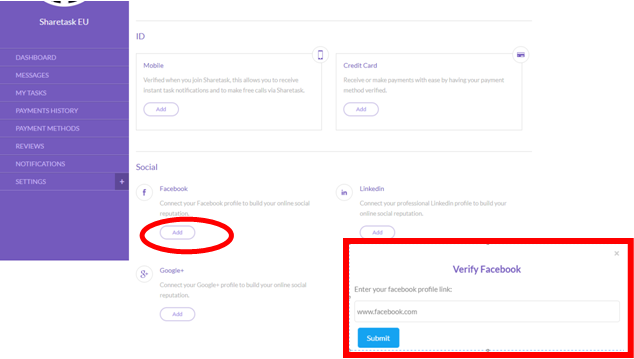 Initially when the user provide all the information the status will be displayed as 'UNVERIFIED' but in 24-48 hours the account status will be changed. 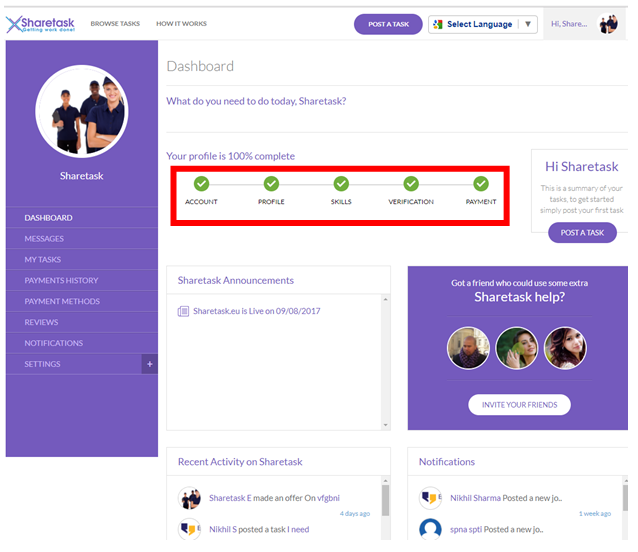 If the status is not changed, Sharetask.eu will communicate to you asking for further information. 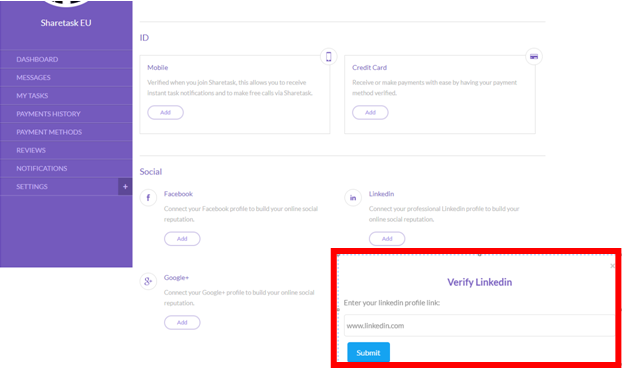 When the Status from Unverified to Verified goes, it means that all required details are received. 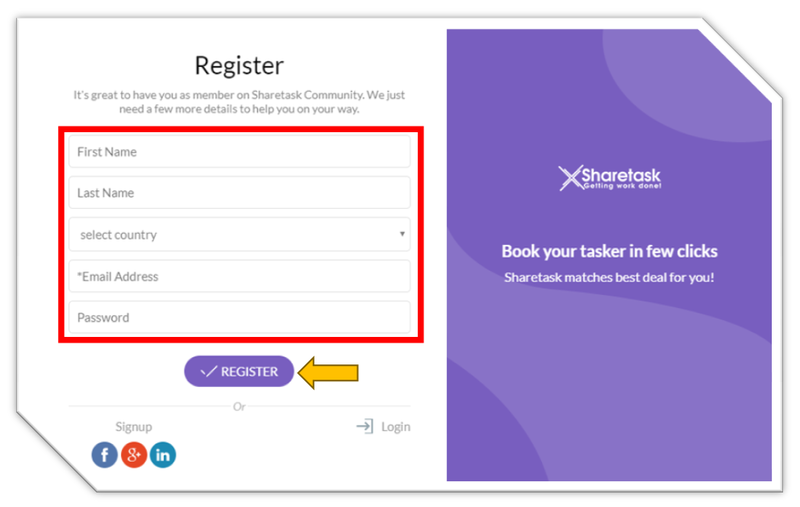 Any action related to the user gets trigger to a notification with the date and time stamp in order to track the activities. 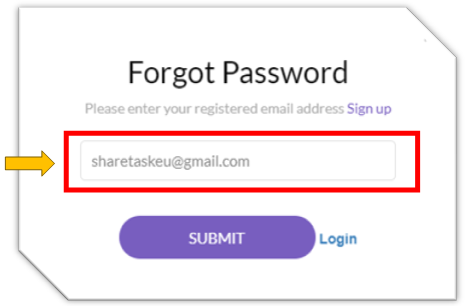 It is important for the user to update all the fields'in order to have a good view about your Bio. 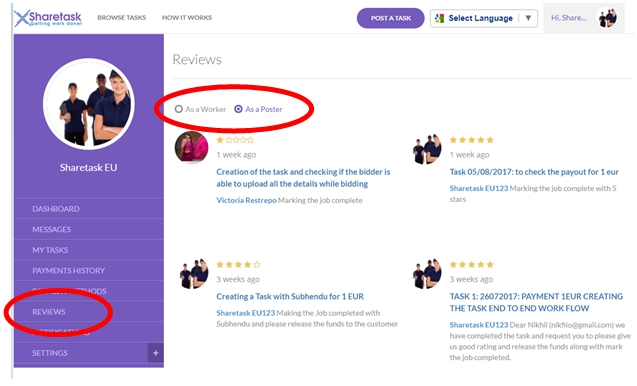 This will help other 'Poster' or 'Worker' can view details about the users and users will have better chances in selection. 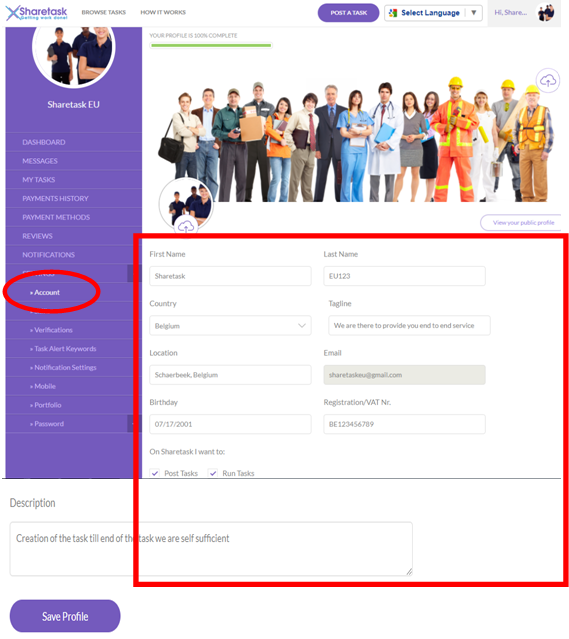 My Specialties: This is a drop down selection field which will help the user to select the best specialties from the list. 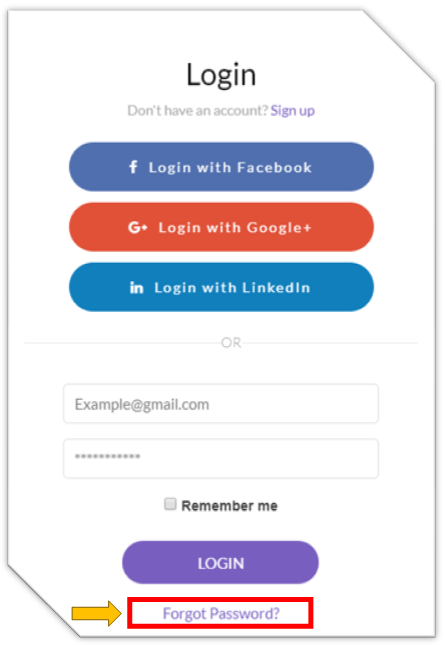 It will allow the 'Task Poster' to select the user with best suited specialties. Transportation: Allow the people to know how well you are connected in the city. 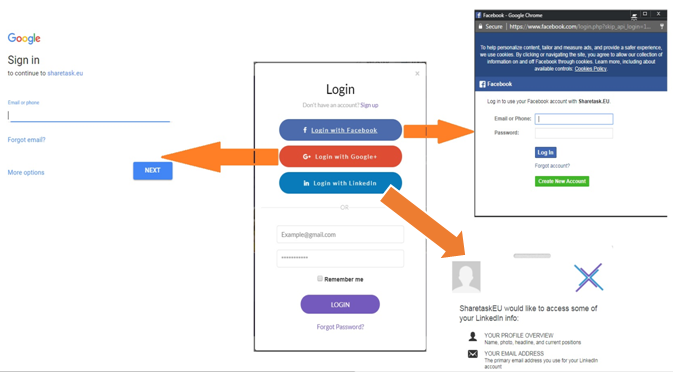 Languages: This will help any 'Task poster' to know how good the user is to communicate in language. 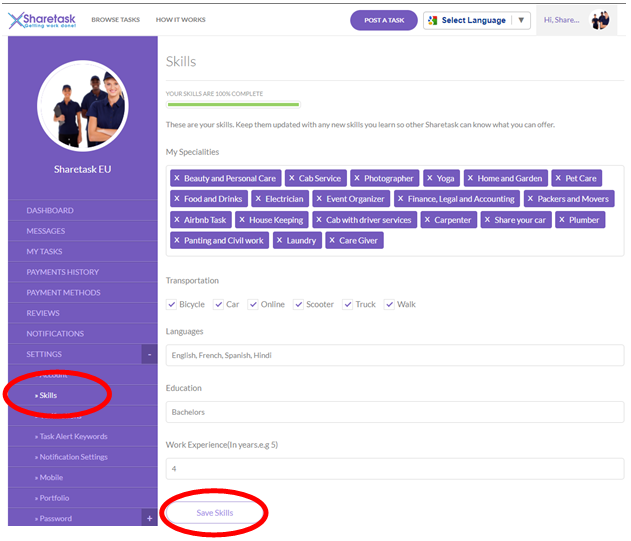 Education and work experience will allow the 'Task poster' to view and select with the authenticity. 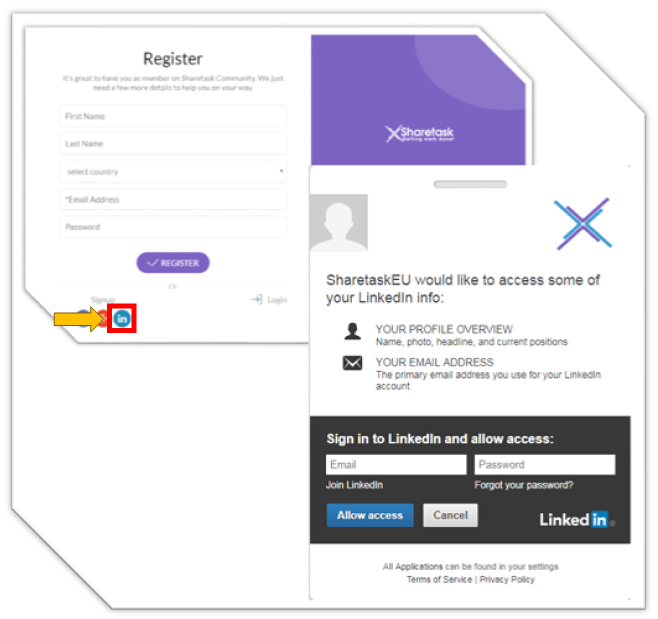 It is very important to have the verification of each users at www.sharetask.eu platform. 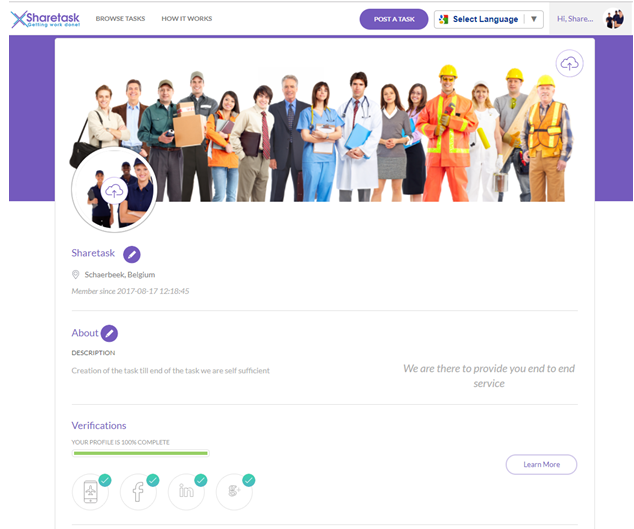 This allow the users authenticity which in turn allow the job posters or workers to have trust on the Sharetasker who are willing to work or post the jobs.